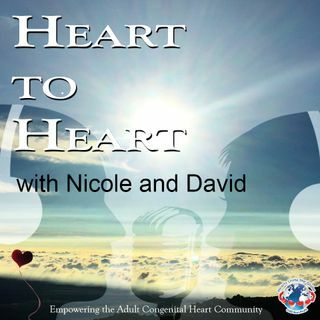 Heart to Heart with Nicole and David: A Podcast for the Adult Congenital Heart Defect Community is a one-of-a-kind podcast hosted by two adult congenital heart defect warriors. Nicole and David, heart brother and sister, will discuss topics of interest to other adult warriors and those who are adult CHD advocates. New programs will be broadcast the first Wednesday of the month at noon Eastern Time (USA). During the month, the same episode will run each week and a Google Hangout will open up ... See More after each program so the community can discuss the program. The address for the Google Hangout will be posted on the Heart to Heart with Nicole and David Facebook page.